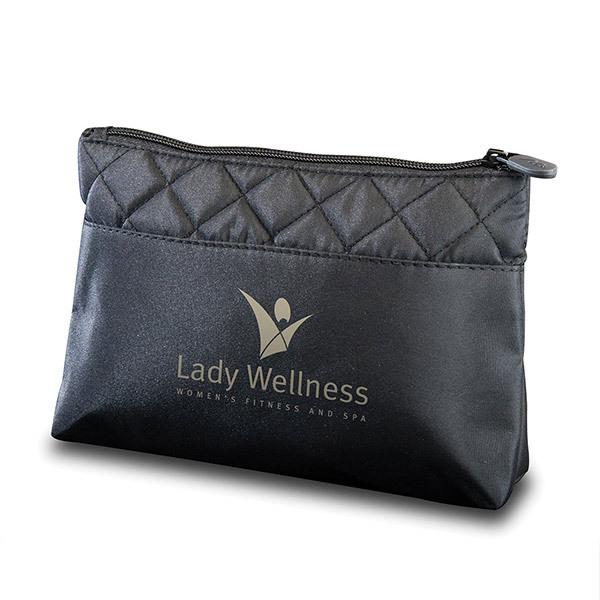 Let's Make-Up Bag A travel necessity. Black microfiber with quilt stitch pattern on top edges, top zipper closure, inner zipper compartment. 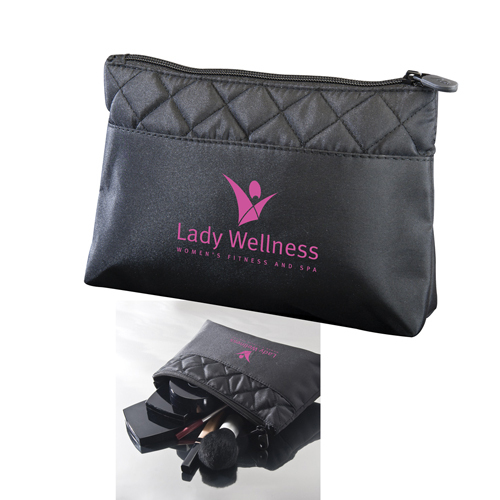 Conveniently holds cosmetics or accessories for your daily use. Cosmetics and brushes are not included. Bulk / 14 lbs / 100 pcs. / 15x10x16box. Imprint Area: 2-1/2" h x 5" w"